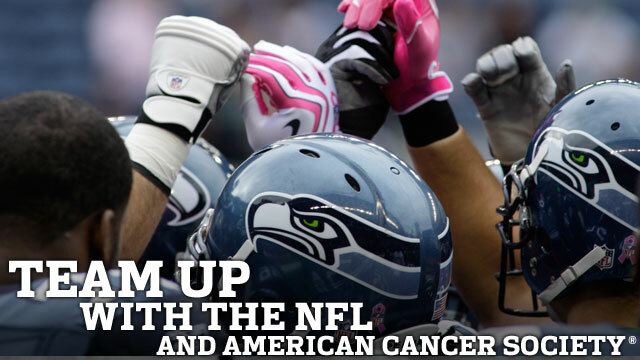 No matter the team, if you’ve turned on a pro-football game the past few weeks you’ve seen pink gloves, pink socks, pink spikes, pink sweatbands, pink chin guards, pink towels, pink game coins and pink ribbons. 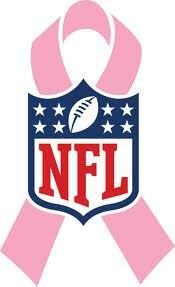 The NFL players, clubs, referees and entire association are pink infused. 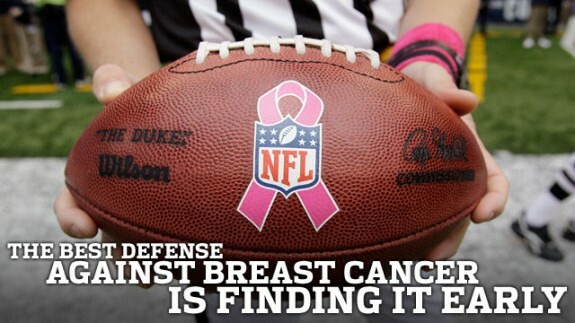 During this month of Breast Cancer Awareness the National Football League has teamed up with the American Cancer Society to promote their campaign “A Crucial Catch” and display their pink pride. The primary goal is to promote and increase awareness of the importance of annual screenings, specifically for women 40 and older. I have to say, I’m impressed with this campaign. Breast cancer has directly impacted the lives of so many women and families all over the country (my friends and family included), it is wonderful when organizations with a high impact participate in these philanthropic campaigns. It is also an opportunity for football fans to unite for a great cause, no matter their team allegiance. Below are some of my favorite pictures from this past month. Obviously this first image is my favorite, I must support my Chicago Bears. 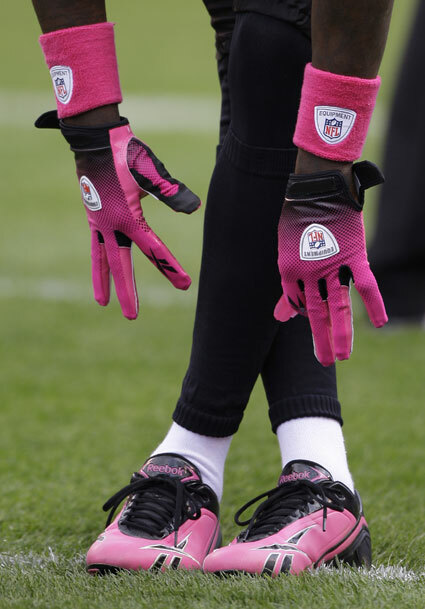 Devin Hester NFC special teams player of the week shows off his pink apparel. Taking things further south, stadiums get a little pink decorating. 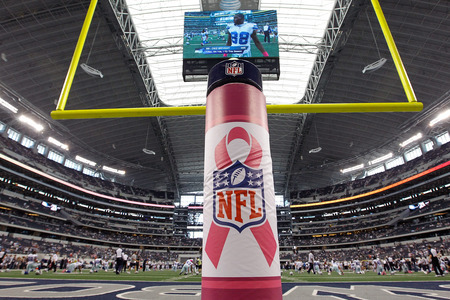 The Cowboys show their pink pride by displaying the pink ribbon on their field goal. Gotta stretch it out and show off all your fly apparel…pink is really an excellent accent to any uniform, especially the pink kicks. Knowledge is the strongest weapon, being proactive saves lives. Plain and simple, just pink it up, everybody’s doing it. We all need to support such a wonderful cause. 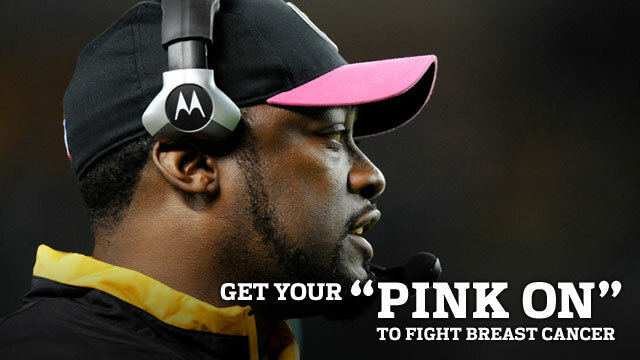 If you would like more information about “A Crucial Catch” visit them at http://www.nfl.com/pink. Feel free to bid on Pink items or purchase official pink merchandise at the website!